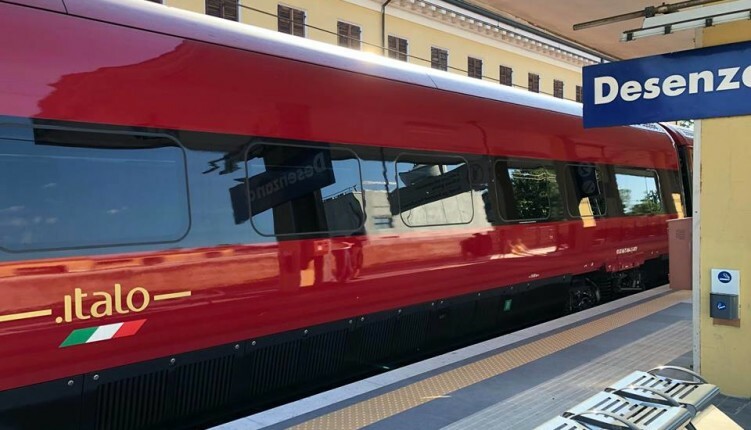 Italo inaugurates the high-speed service on the Turin-Venice, with stops also in Brescia and Desenzano and launch tickets starting from 9.9 euros. The two extremes of the north-east will be connected in just over three hours thanks to the new Italo Evo, latest generation trains equipped with every comfort. The city of Brescia will be served by 6 connections a day starting from 1 May, which will be added to the current 4 for Rome / Naples. From 1 June the intermediate stop of Desenzano del Garda will also be activated, a stop that allows connections to the western and southern Lake Garda. An important goal for Lake Garda, which can accommodate a greater number of tourists, also thanks to the collaboration between private companies and public bodies who strongly wanted this stop on the Turin-Venice line. Contact us directly or visit our website in the HOLIDAY RENTALS section, to choose the accommodation that best suits your needs on Lake Garda. We are also available for booking rail, air and navigation tickets as well as simple information on travel by public transport in the area. Directly from us you can buy tickets for amusement parks including Gardaland, of which we are official ticket office.